I have a problem. 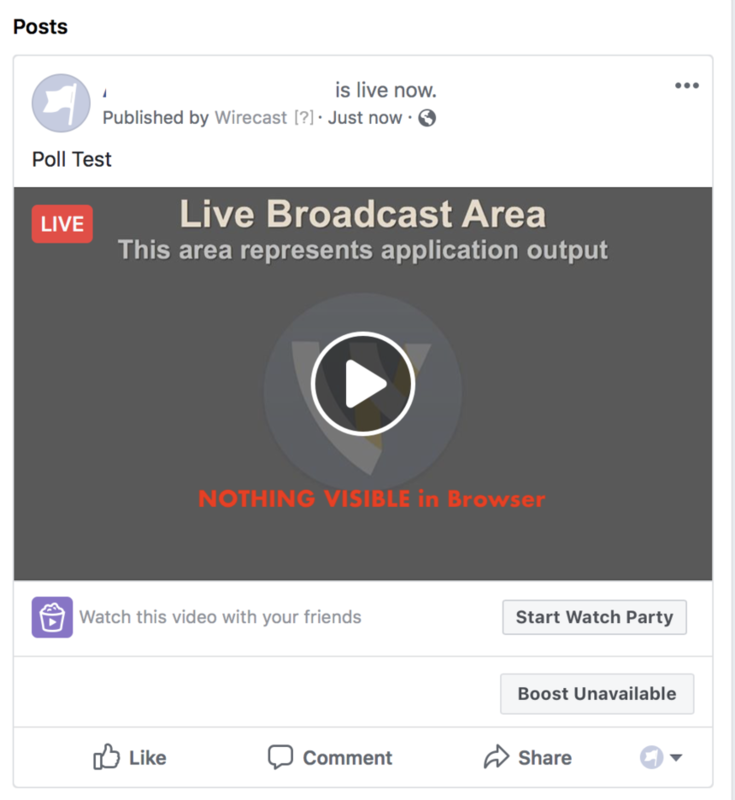 I try to use facebook poll, but no matter how I do, the question is not shown during the broadcast. I have tried to send both to a page (I am an administrator) and to my private wall. If I log in to facebook and try to create the question there, I can see that the question from Wirecast has been "registered" by facebook. But I have never been able to see or answer it. Anyone else who has the same problem? The poll isn't always obvious unless you're watching on a mobile device or expand the viewer in a browser. 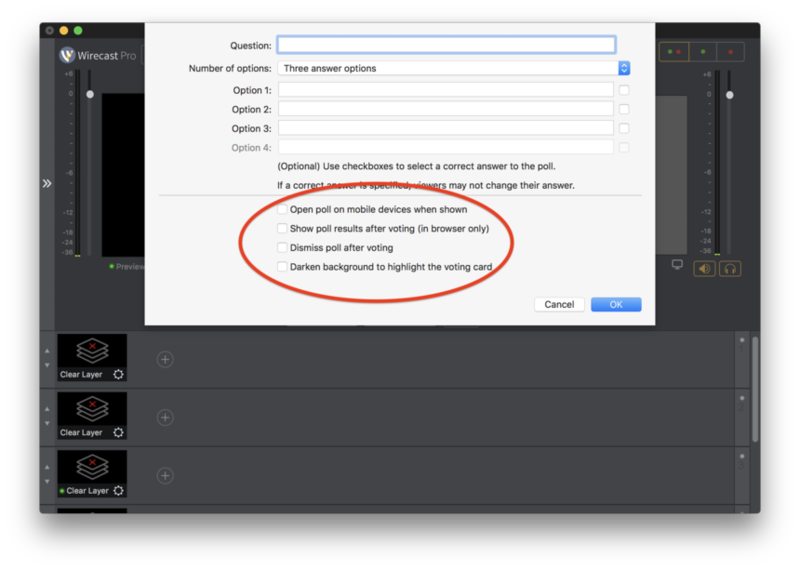 Also, you need to set the poll features.